foundations for its future development as one of the great literatures of the world. 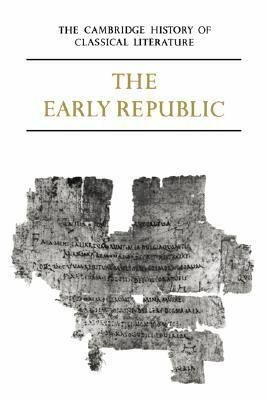 Essential background is provided by introductory chapters on readers and critics in the Roman world. In these are described the form of the books themselves and the conditions under which they were produced, circulated and read. The whole volume offers an indispensable introduction to the understanding of the nature and quality of Latin literature. Center for Hellenic Studies, a position he held until 1985. He was an authority on the works of Sophocles and his first book was Oedipus at Thebes: Sophocles' Tragic Hero and His Time (1957). He also edited the anthology The Norton Book of Classical Literature (1993). His essay appeared in numerous publications including The Atlantic Monthly, The New Republic and The New York Review of Books. They were also collected in numerous books including The Heroic Temper: Studies in Sophoclean Tragedy (1964), Word and Action: Essays on the Ancient Theater (1980), and The Oldest Dead White European Males and Other Reflections on the Classics (1993). He received numerous honorary degrees and distinctions during his lifetime including the George Jean Nathan Award for dramatic criticism in 1977; the Charles Frankel Prize of the National Endowment of the Humanities in 1990; and the Jefferson Medal of the Philosophical Society of America in 2004. He died of a heart attack on July 22, 2010 at the age of 95.